Porsche car owners know the feeling of owning a prestigious car brand such as Porsche. We at Manhattan Motorcars recognize that same feeling that is why we have always made it a point that our clients in Morningside Heights will continue to enjoy that privilege. By selling new and used car models from the brand and offering repair and maintenance services for Porsche cars, we have renewed our commitment to serving our clients best. We also have a huge inventory of Porsche car auto parts to upgrade and maintain your ride. 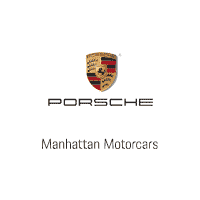 Visit us today at Manhattan Motorcars and enjoy the perks that come with owning a Porsche car. A neighborhood found in New York City’s Manhattan borough, Morningside Heights is found on the borders of Manhattan Ville and Upper West Side. The neighborhood is known for being the home to various cultural and educational institutions which include Teachers College, Columbia University, Manhattan School of Music, and Grants Tomb to name a few.